These are the Booking Conditions applicable to holidays booked with Solid Surf House® (trading name) / Solid Holiday Services Ltd. and should therefore be read carefully. Should any part of these conditions become invalid or unenforceable this will not affect the validity of the remainder of these conditions. 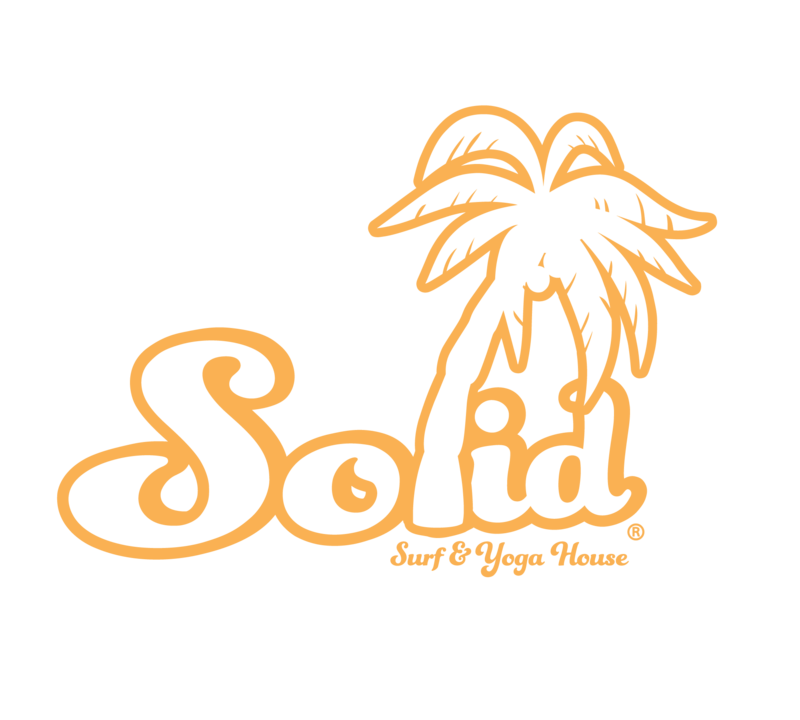 Your contract is with Solid Surf House® /Solid Holiday Services Ltd. registered in Gibraltar. The person signing the booking form must read and accept these Booking Conditions by clicking accept. In the case of a group booking the group leader or « lead name » must have the authority to sign on behalf of everyone in the group.The lead name will be responsible for the full cost of the holiday including insurance premiums, cancellations and amendment charges. No booking contract exists between Solid Surf House®/ Solid Holiday Services Ltd. and the client until the booking form has been received. Once the booking form is received there is a contract and payment obligation, starting with deposit or full payment (see prices) and cancellation policy will apply as of immediately effect. We reserve the right to refuse to accept bookings in our absolute discretion without stating the reason for doing so. Please inform us immediately if there are any discrepancies in the costs or details of your booking. All prices are in euros and per person per week, unless otherwise is stated. Upon making your booking the price of your holiday will not normally be subject to change, however we reserve the right to increase or decrease prices due to variations in service charges, offers, insurance/security levels or exchange rates. Once a booking has been made discounts cannot be applied retrospectively. A deposit of 50% is required at the time of booking within 2 days, unless agreed differently. Once the confirmation has been dispatched, the deposit is non refundable. The final balance is due 6 weeks before the ARRIVAL date, for the Solid Surf Academy this 6 weeks. If the final payment has not been received by this date we reserve the right to treat the booking as a cancellation without refunding what has been paid already. The final balance will still be due and payment obligation still exists according our cancellation policy. Should the booking be made within 4 weeks of the arrival date the full amount is required immediately, within 24hrs. The boat charters full payments are due 8 weeks before departure! Discount vouchers supplied by us are only valid for the shared rooms. The vouchers don`t apply on already made discounts/ offers. Add-on`s like: BBQ – Excursions – Insurances are excluded for discounts. Discount applies for maximum one booking week only, any extra days are charged according to the price on that moment. The vouchers are valid in the time frame that is stated on the voucher and when the booked holiday is within these dates , booked & paid. Discount bookings are non-refundable. Solid surf house will not accept bookings that are ment for re-selling with lower, equal or larger profits then what we offer on our website. If any of these bookings occure without giving us notice or our written approval we are able to cancel the booking at anytime and claim full compensation of the booking with the value of what has been booked with us according to our website prices. Similar bookings forthcoming out of one of our agency’s are subject to this policy. Re-sales are restricted to our own appointed agencies that we have selected. A travel ageny that is respresenting Solid Holiday Services Ltd. is obligated to maintain the same prices as we are offering on our website, unless agreed differently by contract. We can not be hold responsible for over-charging in anyway by a third party. Once a booking has been confirmed by the guest through the website of Solid Surf House® /Solid Holiday Services Ltd, it is not possible to transfer this booking over to a agency – even if they under offer the price compared to our website. In such case Solid Surf House® /Solid Holiday Services Ltd keeps the right to reject the new booking of the third party at anytime. Agencies are prohibited to under offer our prices that we maintain on our website and we have the right to cancel these bookings at any time. The following payment terms are applying when a booking is made. 7.1 A booking made over 6 weeks before the arrival date a minimum of 50% of the total amount has to be paid within 3 days after we send the confirmation & invoice. A booking made within 6 weeks before arrival date, 100% payment has to be paid and completed within 1 days. 7.2. A booking made between 0 to 6 weeks before the arrival date, a minimum of 100% of the total amount has to be paid within 1 days after we send the confirmation & invoice. If there are any trouble with making the payment please inform us immediately. – Cancellation over 6 weeks before arrival date- loss of 50% of holiday cost (deposit) – however it is possible to reschedule this for a 150,- euro fee per person. In that way your holiday and deposit is not completely lost*. Refund: 50% incase of full 100% payment. No refund when only 50% is paid. – Cancellation over 16 weeks before arrival date- loss of 50% of holiday cost (deposit) – however it is possible to reschedule this for a 450,- euro fee per person. In that way your holiday and deposit is not completely lost*. Refund: 50% incase of full 100% payment. No refund, when only 50% is paid. – Cancellation 4 – 6 weeks before arrival date- loss of 75% of total holiday cost. Refund: 25% incase of full 100% payment. – however it is possible to reschedule this for a 200,- fee per person. – Cancellation 12 weeks before arrival date- loss of 75% of total holiday cost. Refund: 25% incase of full 100% payment. – however it is possible to reschedule this for a 550,- fee per person. – Cancellation under 4 weeks before arrival date- loss of 100% of holiday cost. Refund: 0% incase of full 100% payment. No reschedule possible. 8.4 Every guest is responsible for their own travel & cancellation insurances in case of loss of the holiday costs. 8.4 .1 In order to receive refunds we will apply the refund scale mentioned above: 1 – 1.1 – 2 – 2.2 – 3 – 3.3 and are subject to reasons as: severe illness (not included injuries which allow you to travel) which makes the holiday impossible, passing away of 1st degree relatives: wife, kids, parents. All other reasons are not accepted for refunds. To refund according the refund scale we need official documented proof to fulfill the refund payment as stated in our refund scale. For the remaining lost amount percentage, we will supply documents of your booking for your cancellation insurance to claim the remaining part of your lost holiday costs. A cancellation insurance is fully the guests responsibility! If payment is left out we will pursuit with our international deb-collecting agency to honor the contract and agreement. All forth-coming costs are forwarded and will be calculated accordingly. 9. 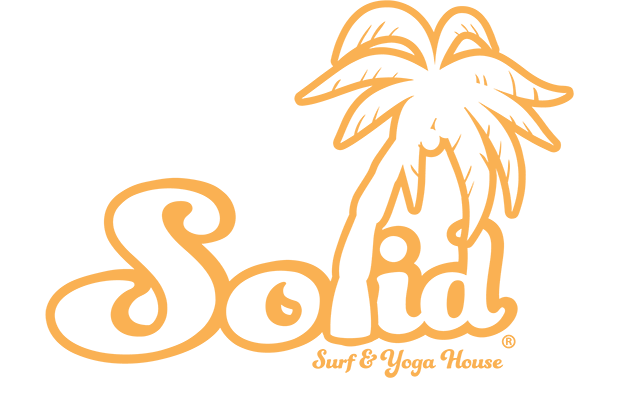 CANCELLATION OF HOLIDAY BY SOLID SURF HOUSE® / Solid Holiday Services Ltd. Solid Surf House/ Solid Holiday Services Ltd. scheduled departure except for reasons of ‘force majeure’ which include war, political unrest, strikes, acts of God, epidemics, natural and technical disaster, closure of ports and aircraft or unless the clients default in the payment of the balance of the holiday price. In circumstances where we are unable to provide the holiday you have booked we will return to you all monies paid, or offer you an alternative holiday of similar standard. Alterations to your holiday by Solid Holiday Services Ltd: It is unlikely that we will have to make any changes to your holiday, but occasionally small changes may be made, which we reserve the right to do at any time. Most of these changes are minor and we will advise you at the earliest possible date. Our contract with you is deemed to be made at the offices of Solid Holiday Services Ltd, Suite 3, Second Floor, Icom House, 1/5 Irish Town, Gibraltar. All our conditions are subject to Dutch Law (EUROPEAN). General: Solid Holiday Services Ltd. holidays start and finish where stated on your invoice or booking confirmation. We are not responsible for your travel to or from this point or for any expenses, including travel accommodation, subsistence and loss of earnings, caused by delayed return to your departure point, howsoever caused. Airport transfers: It may sometimes be necessary to combine, on certain transfers, customers arriving or departing on more than one flight, which may require additional waiting time at your airport or accommodation. Sometimes our airport transfers are contracted to a local agency. Please note departure times are 3hrs prior to your flight departure from your accommodation. Solid Holiday Services ltd. act as the sole travel agency for the locations in Marokko and Bali and Sri Lanka. The surfschool and accommodations in Marokko and Bali are independent companies. The local companies are registered in Marokko (275 Ltd.Sarl) and Indonesia Bali (Rumah Ombak Bagus.PT), Sri Lanka (Solid Surf House Lanka LTD.) and function as a independent company with Solid Surf House/ Solid Holiday Services Ltd as their travel agent. The surf guides are not qualified instructors. They will take you to surf spots and suggest where to surf but are not in any way responsible for clients safety or for injury or death whilst surfing. Our head surf teachers are qualified instructors licensed by the ISA and own the level 1 or level 2 certificates. Our self catering apartments are not owned by Solid Holiday Services Ltd. They are rented independently or through letting agencies. Liability: Solid Holiday Services Ltd. accepts responsibility for ensuring the holiday you book with us is as described in the brochure and the services offered reach a reasonable standard. If any part is not provided as promised, we will pay you the appropriate compensation if it has affected your enjoyment of the holiday. Complaints: If you wish to make a complaint or claim whilst on holiday you must report it to the relevant supplier of the problem in question and to our Solid Holiday Services Ltd. representatives, thereby giving them the opportunity to remedy the problem. We cannot accept any liability whatsoever if we are not informed immediately, of any problem during your stay. Complaints not resolved completely in resort should be made in writing within 28 days of the end of the holiday. We will not accept liability for claims received after this period. While staying with Solid Holiday Services Ltd., clients are expected to behave in an orderly and acceptable manner and are expected to accept responsibility for the conduct of themselves and their party. Should their behaviour threaten the condition of the accommodation or vehicles or seriously impair the enjoyment of other guests, Solid Holiday Services Ltd. reserves the right to refuse to further accommodate the guilty party and contractual obligations will be terminated. The guilty party will be liable for the cost of any damage caused. Everyone booking a holiday with Solid Holiday Services Ltd. must have full travel insurance & cancellation insurance. Solid Holiday Services Ltd. accepts no responsibility for loss theft or damage to persons or property during their stay. Our in advanced booked and paid excursion are non-refundable. Excursion are only subject for refund when Solid Holiday Servicese is not able to organise it due to unexpected circumstances or when the required minimum amount of participants is not reached. Solid Surf House decides if a excursion can take place or not.